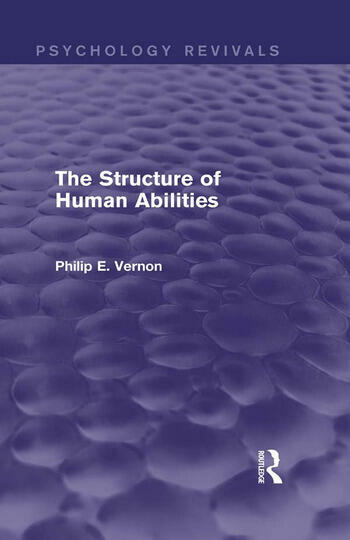 First published in 1950, this revised edition of The Structure of Human Abilities was published in 1961, but remained largely unchanged from the original save for an additional supplement on the developments in factorial work on human abilities from 1950-1959. Much research had been carried out during the years leading up to publication, in England and America, into mental abilities; and modern methods of statistical treatment, especially factor analysis, had been increasingly used. It was felt that the mass of diverse material was apt to confuse the student of psychology of the time, especially as the results of such research were often apparently conflicting. Professor Vernon, one of the leading experts in this branch of psychology, sifted the material and attempted to provide a consistent picture of our mental structure.